EXTRA SAVINGS - Pay with CASH or TRAVELLER'S CHEQUES and we will pay your 4% Provincial Room Tax. Introducing Seven New Whistler One Bedroom Cabins in June 2018! 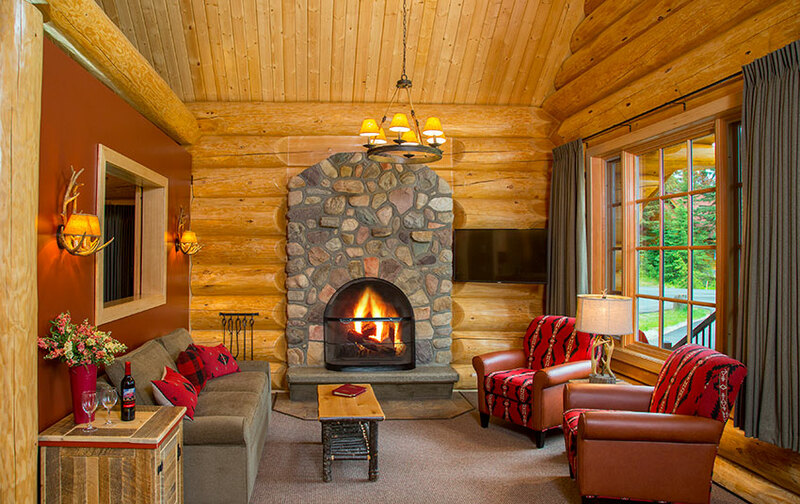 These custom designed Whistler One Bedroom Cabins are fir log construction. Each will feature an expansive living room with an open, log beamed cathedral ceiling, large windows and a wood burning, fieldstone fireplace. There is a full kitchen, dining area and separate bedroom with a king bed. A unique walk-in shower is showcased in the bathroom. 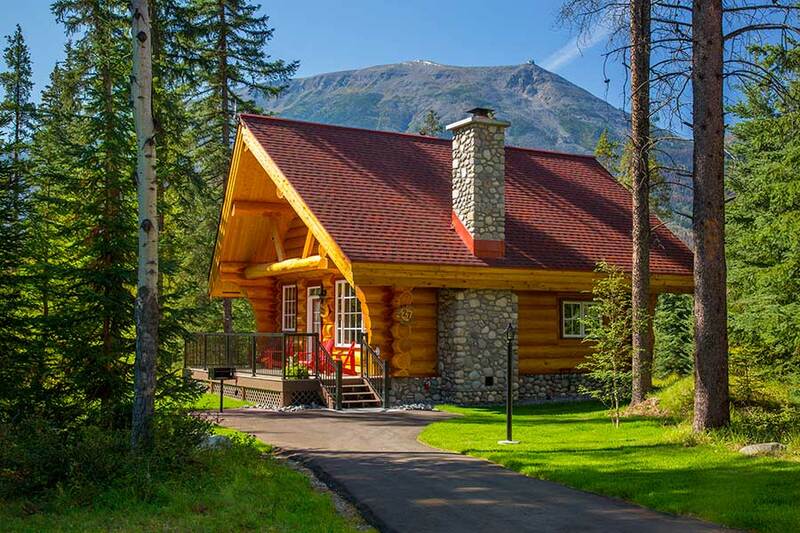 Each of these cabins are perfect for 2 guests wishing to stay long enough to unpack and settle into their own “cabin in the woods.” The Whistler One Bedroom Cabins are located in a natural, forested semi-circle with a 20-70 meter walk in from the common parking area. Alpine Village is proud to promote their use of locally sourced contractors and materials (such as fir logs from Valemont, BC and riverstones from the Park) as well as Western Canadian furniture designers and suppliers. Stay 5 nights or longer and save $30.00 off each night of your stay. Want to join the staff of Alpine Village and work in a friendly environment surrounded by some of the most beautiful scenery in the world? We have won Alberta Hotel Association Employer of Choice and Housekeeping Excellence Awards for numerous years plus were a finalist in Travel Alberta's Alto Service Excellence Award in 2015 and 2014. See our home page that lists our other awards all recognizing that Alpine Village is a great resort to work at and checkout our facebook page to see the fun and activities we do thoughout the season. See our home page that lists our awards that include “Employer of the Year” recognition. Check out our “You Tube” video: Alpine Village – A Great Place to Work. Email us your resume as we start recruiting in early January/February for our upcoming season which runs from mid to late April until late October. We offer competitive wages, accommodation, and great bonus for completing the terms and length of our contract of April - late October. We require room cleaners, front desk and grounds keepers, with experience preferred. All candidates must be energetic, over 18, Canadian citizens or have a valid Canadian work Visa. Once hired and trained to keep Alpine Village's housekeeping and maintenance at its reputed high standard, the management of Alpine Village help introduce new employees to the wonders of Jasper National Park with staff hiking trips and staff get-togethers, etc. 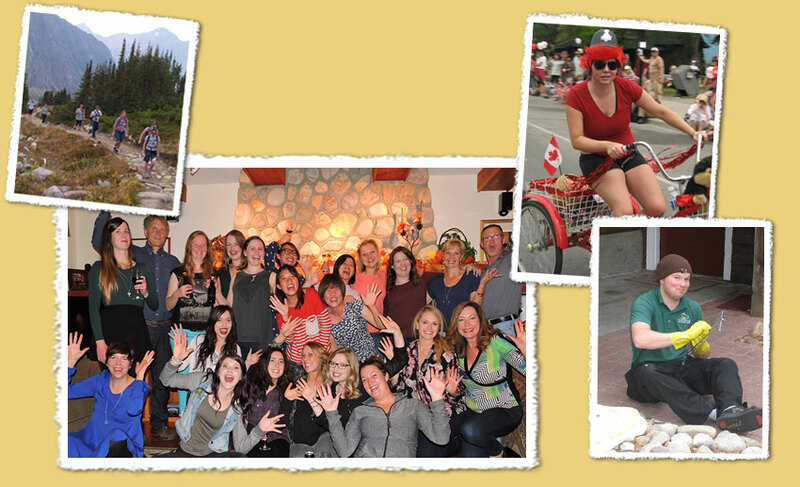 A season in Jasper has left many former employees of Alpine Village with fond memories and friends to last a lifetime.